I’m reading a book about Steve Jobs. I am not going to share the title or author as I think the book is fairly boring and can’t recommend it but here’s something I learned about 360 feedback from the experience. Most of this book is a rehash of what I’ve read before. I have put it down and read several books. In fact, it’s just the coincidence of haveing several devices I read on and battery charge that I picked up this Kindle today. I was determined to spend a couple hours reading and decided to read whatever was on the screen. The full text of the TV commercial about the crazy ones was included. Reading on through the next few pages of stuff we’ve heard about Steve Jobs many times before, I was reminded of his crazy idea that design is more important than engineering. Apple is a tech company. Or is it? We laud Jobs for all the innovation but by his 1997 return to Apple, it wasn’t Jobs who innovated. He retained Jony Ives, the designer behind all of those whiz-bang Apple products. Ives was fed up with the non-Steve Apple and ready to leave. He hired Ron Johnson from Target (yes Target) to design the high-end stores and fought with him over a couple of key innovations that broke the mold. We hear about Jobs fighting the board. How he was like “The people wanted a faster horse” Henry Ford, seeing beyond what the market was asking for. Maybe it’s my work with Dr. David Chaudron and his breakthrough work with 360 Feedback in organizations, but this read brought a different view to how Steve Jobs was able to achieve his dents in the universe. 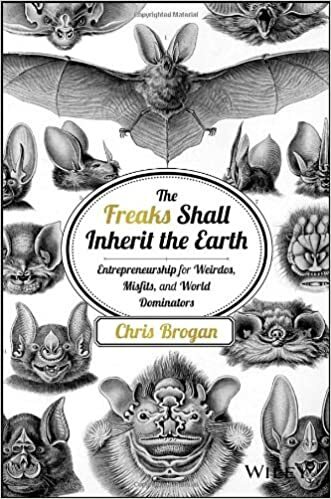 He was a freak, but he also learned to surround himself with other freaks and matured through 360 feedback. I’m often viewed as a contrarian. I take it as a compliment but know it’s not my aim do disagree. I am learning that there are unlimited possibilities for our futures. We largely cannot see those possibilities so we don’t know what will happen a year or 50 years from now. I do know that it will be different than anything we see today. Who are you working with to give you feedback and crazy ideas? Look for the things you can change for the better. Imagine what good that might bring. Pick a few possibilities you like and go forth to put your dent in the universe. Update: When I finished this post I returned to the Kindle. The title had disappeared. I guess it was just there to trigger me to think different.